This week, the Catholic Church in the United States of America celebrates Catholic Schools Week. The US Bishops ask us to consider the great blessing which Catholic schools are to our Church and to our community at large. During Catholic Schools Week, we call to mind the fact that Catholic schools benefit not only the families who send their children there, but the whole Church and all society. Every Catholic, even if he has no children in Catholic schools (even if he has never had children in the schools), should see Catholic schools as his schools – every Catholic benefits from Catholic schools, and every Catholic has a duty of supporting Catholic schools. Today, I would like to point out one way in which every Catholic benefits from Catholics schools: Catholic schools produce vocations to the priesthood and religious life. 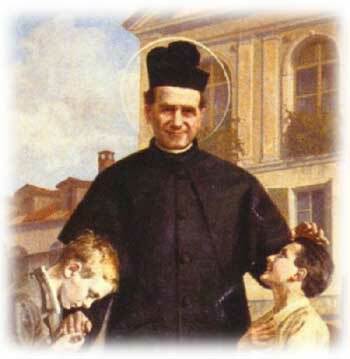 It is particularly fitting that we consider this benefit today, the feast of St. John Bosco – the schools which he founded produced over six thousand vocations to the priesthood during his life-time (and countless more since his death). 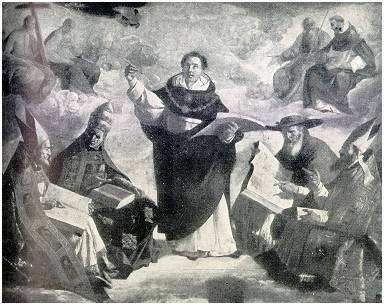 The Summa Theologica of St. Thomas Aquinas is, without question, the greatest work of theology ever written. And yet, because of the length of the treatise – some six hundred fifteen question of up to six or even eight articles, in three (or four) volumes – even the most avid fans of the Angel of the Schools find it difficult to read the whole Summa. In this post, we intend to give an indication of not only how to read any particular portion of the Summa, but also of how to succeed in reading the whole work. 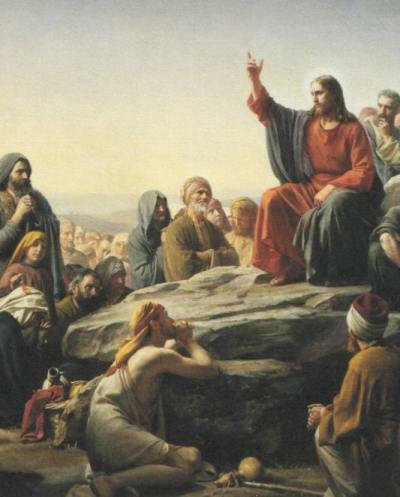 Christ taught as one having authority. But what does that mean? The people were astonished at [Jesus’] teaching, for he taught them as one having authority and not as the scribes. Both here in Mark’s Gospel (which we will read from this Sunday) and in Matthew’s Gospel at the end of the Sermon on the Mount, the people are amazed at Jesus’ doctrine because he teaches as one having authority. But what does this mean? What was different about the way that Jesus taught? And, finally, how can priests today follow Christ’s example in their preaching? The Lord Jesus is the “new Moses”, the prophet spoken of by Moses in Sunday’s first reading (Deuteronomy 18:15-20): A prophet like me with the LORD, your God, raise up for you from among your kin; to him you shall listen. Living from 1567 to 1622, and serving as bishop of Geneva in Switzerland, St. Francis de Sales had to face a very tumultuous and trying time in Europe. 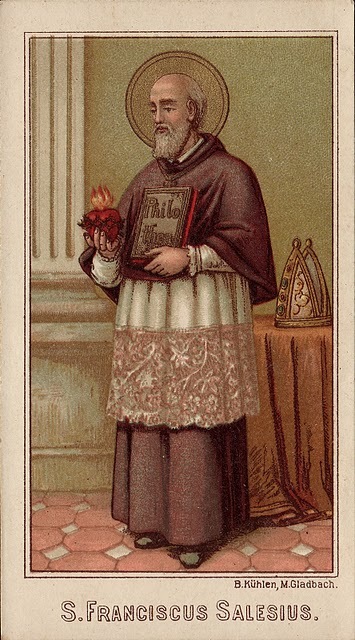 He was constantly at work in fulfilling his duties as a bishop in the counter-reformation period of the Church, and had scarcely a moments rest in the midst of his continuous labors. And yet, this dedicated bishop insisted that it was his duty to provide spiritual direction to those souls who asked for his guidance and whom he believed would benefit from his personal care. What a witness St. Francis is to priests today! If he was able to serve as a spiritual director on top of his duties as a bishop, surely parish priests must find time to provide direction for their people as well. But how do I know whether I need a spiritual director? And what makes a priest to be a good director? After John had been arrested, Jesus came to Galilee proclaiming the gospel of God. 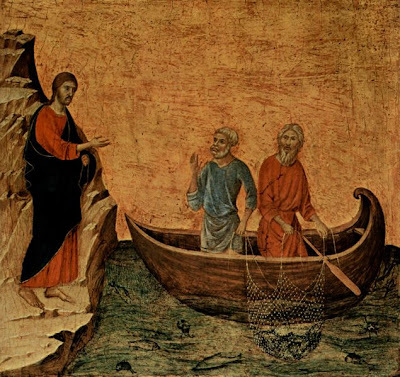 In the synoptic gospels (Matthew, Mark, and Luke), the vocation of not only Peter but also Andrew as well as of James and John occurs while the soon-to-be apostles are fishing and after John the Baptist has been arrested. However, St. John very clearly states that both Andrew and Peter (and perhaps John as well) were called by Jesus while they were with St. John the Baptist – at least, Andrew was with the Baptizer, and then he went and brought Peter to Jesus. Now, at first glance, it would seem that these two accounts are incompatible; however, we will quickly notice that there were two occasions in which Christ called these men. The first calling of Andrew and (probably) John and Peter as presented in St. John’s Gospel occurred a full year before the second calling of the apostles which is given. 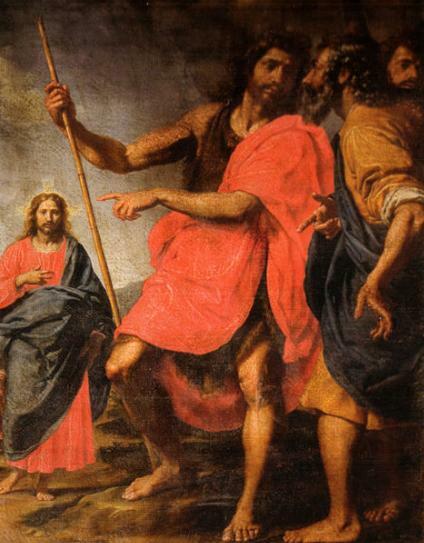 Were Peter and Andrew called by Jesus before or after the arrest of St. John the Baptist? Many of the early Christian martyrs were not killed straight away by the torments of their persecutors. Probably the two most well-known cases of surviving martyrdom are St. John the Evangelist and St. Philomena. While the Beloved was thrown into a cauldron of boiling oil, he came forth healthier than he went in – and so lived out his days as an exile on the isle of Patmos, where he received the vision recorded in the book of the Apocalypse. St. Philomena, the special patroness of the Curé of Ars, was tortured horribly by Diocletian and suffered several martyrdoms (including both being thrown into the Tiber river with an anchor bound to her neck so as to drown her, and having arrows fired upon her) before finally giving up her spirit at her beheading. 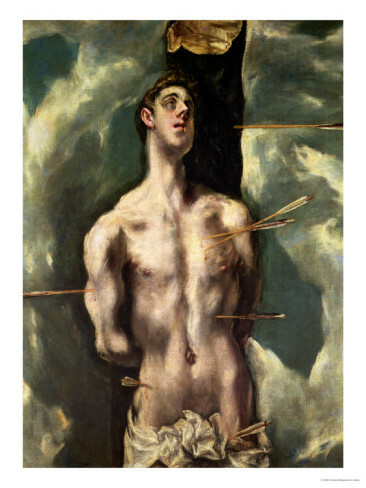 St. Sebastian, likewise, did not die immediately upon being shot with many arrows, but recovered and suffered a second martyrdom – hence, he is sometimes called the saint who was martyred twice (a reference which is shared by St. Isaac Jogues, closer to our own day). Did Jesus misquote 1 Samuel 21, confusing Abiathar with his father Achimelech? And [Jesus] said to them: Have you never read what David did when he had need, and was hungry himself, and they that were with him? How he went into the house of God, under Abiathar the high priest, and did eat the loaves of proposition, which was not lawful to eat but for the priests, and gave to them who were with him? 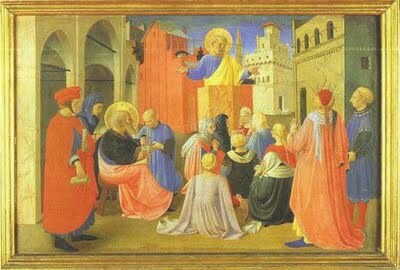 St. Mark specifies Jesus’ question to the Pharisees in a way that St. Matthew (12:1-8) does not, for St. Mark mentions that our Lord declared Abiathar to be the high priest when David came and ate of the hallowed bread. 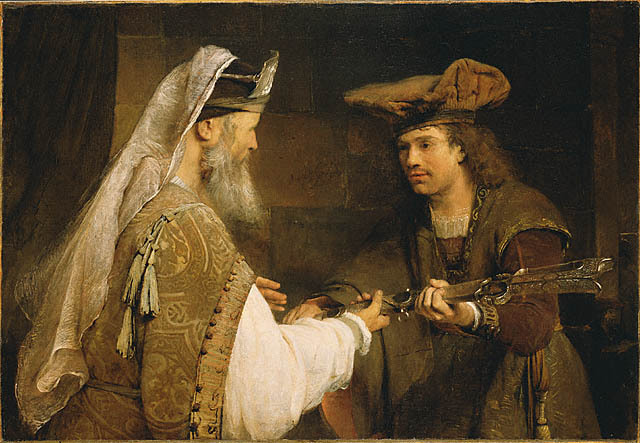 However, if we look to the text cited (1 Samuel 21:1-6) we see that Achimelech was the high priest and that Abiathar was his son who succeeded him shortly thereafter. Jesus says that Abiathar was the high priest when David came and ate the bread of offering, but 1 Samual says that Achimelech was the high priest at that time. Could it be that our Savior misquoted 1 Samuel 21? Did Truth himself confuse the son with the father? Of course not! Why then does Jesus say Abiathar instead of Achimelech? Why did Jesus call Andrew and John at the tenth hour? As St. John tells us of his own calling (for he is surely that unnamed disciple called together with St. Andrew) and of that first conversation he had with our Savior, he specifies the time of day: It was the tenth hour (which is to say, about four in the afternoon). Why does the Beloved Disciple add this detail? What is the significance of the time? What are we to learn from the hour of the day? The Gospel according to St. Mark will be read in the Church throughout Ordinary Time this year, hence we will benefit from a brief consideration of certain points relative to this book. Having already discussed the petrine authority of this Gospel (since St. Mark wrote what he learned from St. Peter [see our earlier article here]), we now turn to the amazing degree of detail contained in this book. While the Gospel of St. Mark can easily be read within two hours (it is by far the shortest Gospel), surprisingly it contains far more details than do the other synoptic Gospels. The second Gospel, that written by St. Mark, will be the primary Gospel used in the Church’s Liturgy (in the Novus Ordo) during the coming year. In the daily Mass readings, St. Mark’s Gospel is used consistently up till Lent; while, for the Sunday Gospel, Mark will be used throughout Ordinary Time (excepting this Sunday, January 15th). In preparation for the Church’s use of this Gospel in the Sacred Liturgy, we will consider first the Petrine authority of the Gospel, and then (in a later article) the structure and style of the book. 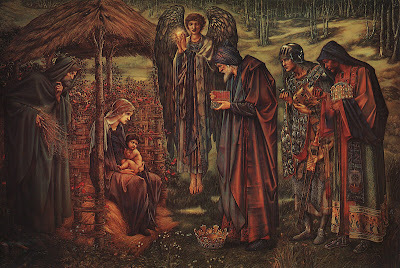 Myrrh is for dead bodies, so why give it to a baby? We, guided by the light of the Church Fathers, are not left in such darkness. 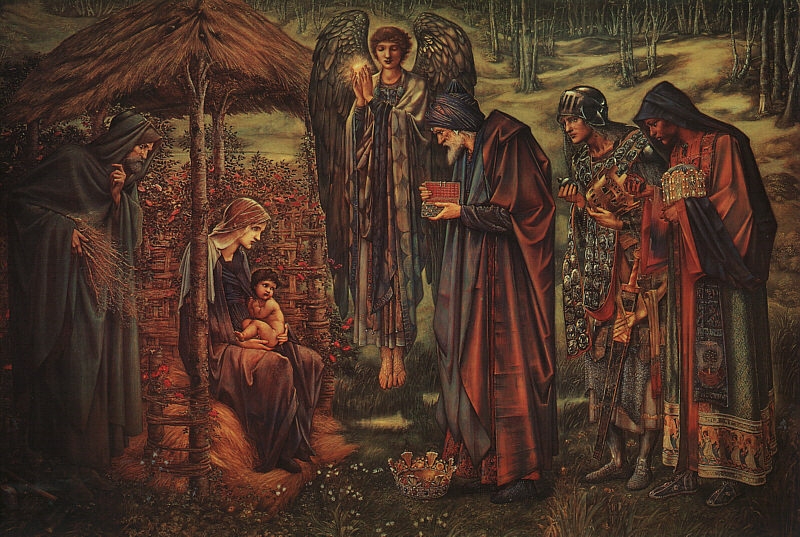 Thus, let us consider specifically the gift of myrrh – what it is, and what it signifies. It is generally considered a more conservative and traditional position to believe that the star of Bethlehem was a real and historical star. Indeed, even many Catholics are excited about recent so-called “scientific” data which seeks to determine which star or astronomical event was the historical star of Bethlehem. 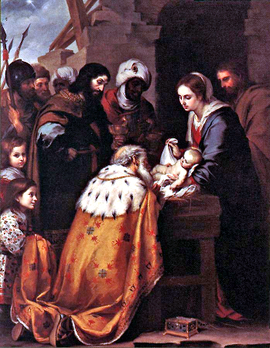 Thus, we might be surprised to realize that the overwhelming consensus of the Catholic tradition – from the Church Fathers, through the Scholastic Doctors (including St. Thomas Aquinas), and up to the great theologians of the counter-reformation period – maintains that the star of Bethlehem was not a real star. It was not an event in the heavens at all; that is, it was not in outer-space, but was another sort of reality. Indeed, the star of Bethlehem was a light brightly shining but low to the earth and within our atmosphere. It was no star, nor even a comet or any such thing – rather, it was much more like the pillar of fire which led the Israelites out of Egypt. In the Extraordinary Form, the feast of the Holy Name is of the “second class” (making it equal to Sundays throughout the year, complete with the recitation of the Gloria and the Credo), but in the Ordinary Form the memorial of the Holy Name was not even included in the calendar after 1970. Happily, the feast was re-instituted as an optional memorial by Bl. John Paul II – we should think that the Name deserves at least this much honor! In fact, the Feast of the Holy Name of Jesus is of comparatively recent origin, not having become popular until the Franciscan St. Bernadine of Siena preached this devotion in the 15th century. It has been celebrated in numerous ways in the Latin rite – at first the feast was kept on the Second Sunday after Epiphany, then it was moved to the Sunday after the Octave of Christmas (the Sunday between January 2nd and 5th). It is desirable that this feast be celebrated closer to the day in which Christ historically received his name, the day of his circumcision (eight days after his birth, January 1st), and thus the feast is kept on January 3rd in the Novus Ordo. The insignia “IHS" is associated with this feast, but what does IHS mean? Why is IHS a sign for the Name of Jesus? 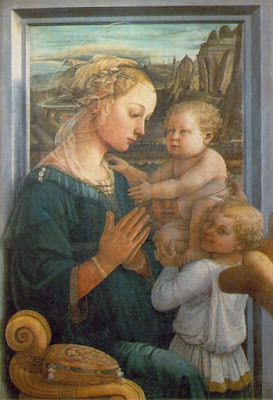 Do a virgin birth and perfect knowledge make Jesus less human? Or Mary less a mother? The Church teaches that Christ was miraculously born of a Virgin without causing his Mother any of the pains associated with labor. Further, the Catholic Church believes that our Savior knew all created things from the first moment of his Incarnation such that he even knew (for example) how to speak every language that had or ever would exist. When some people hear of these doctrines, they have a tendency to respond: “But then Jesus wouldn’t be truly human! And Mary wouldn’t be a real mother!” Let us consider the foolishness of such a reaction.